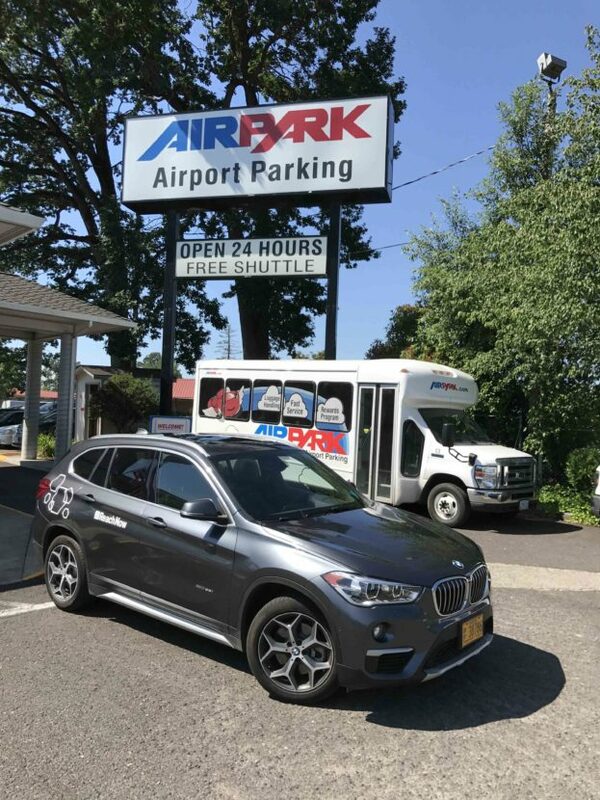 Today, ReachNow, the mobility services division of the BMW Group, opened service for the Portland International Airport (PDX) with dedicated parking for ReachNow cars at AirPark. 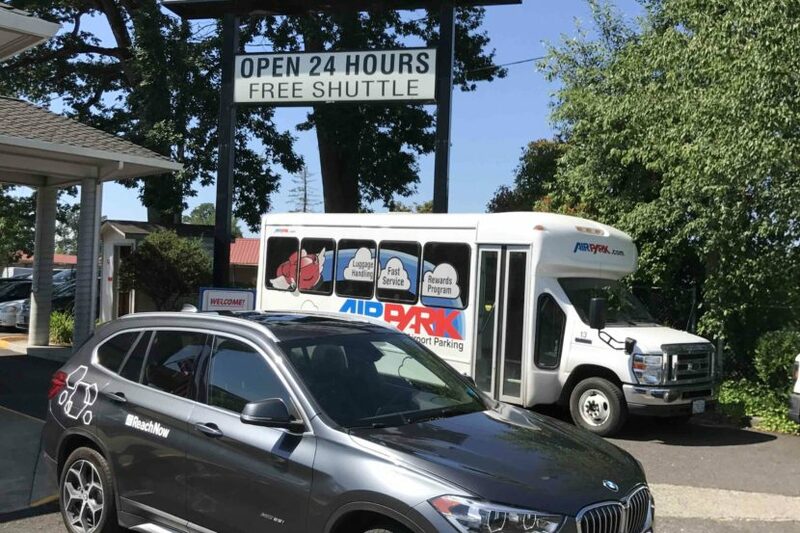 The expansion adds a great option for Portland residents, business travelers and visitors to get to and from PDX without the hassle of a rental counter or unpredictable surge pricing. With ReachNow, members can get from downtown Portland to PDX for less than $20 each way. “Access to PDX for ReachNow has been one of the most requested features from our members in Portland since we launched last summer. By adding PDX to our Home Area, ReachNow is even more accessible to people living in and visiting Portland,” said Alan Bates, Portland Market Manager for ReachNow. Beginning today, ReachNow has 20 dedicated parking spaces at AirPark, an easily accessible offsite lot serving PDX. Members can easily drop their ReachNow car at AirPark and be at the airport in less than 15 minutes. For members flying out of PDX, an AirPark staff member will guide the member to park in one of the designated ReachNow spots once entering the lot. After ending their ReachNow trip, members can hop on a shuttle that will drop them right at the terminal. After landing at PDX, members can reserve a ReachNow vehicle from the ReachNow App and call AirPark to check the status of the nearest shuttle while at baggage claim. After collecting any luggage, members can walk to the pick-up area just outside baggage claim (near island #2) and look for the ReachNow logo on the AirPark shuttle. As with all ReachNow rentals, taking ReachNow to the airport includes gas, insurance and parking. All ReachNow trips that start or end at the airport will include a $5 airport fee, but for the first month, ReachNow is waiving that fee. PDX is the second airport that ReachNow has made accessible to ReachNow members after launching at the Seattle-Tacoma International Airport (Sea-Tac) last summer. “Use of our dedicated parking at Sea-Tac is one of the most popular use cases for our members and we believe that Portland residents and visitors will love it, too. ReachNow at the airport is a convenient, affordable way to get to and from the airport in a car that has plenty of room for family and baggage,” said Steve Banfield, CEO, ReachNow. ReachNow is also a great option for business travelers or visitors to Portland. Those interested can sign-up for a free lifetime membership (a $39-value), which can be completed before arriving in Portland by downloading the ReachNow app (available on iOS or Android). Rentals don’t require advance reservations and each ReachNow car is priced the same, offering choices between five different models of BMW and MINI cars, including the BMW X1 SAV and BMW 3-Series. ReachNow includes insurance and whatever gas that is in the tank in the price of the rental. In Portland, daily rates start at $80 per day. More information on Portland’s fleet and rental pricing is available here.